A public health epidemiologist specializes in the investigation of disease and many other public health issues, to stop them from spreading or from recurring. They then report their findings to the government and to the public. Epidemiologists frequently work for the government and for universities, as well as research institutions. 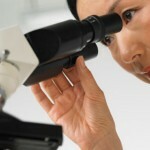 They often collect and analyze data to do in depth research of health issues. Most frequently, epidemiologists focus on infectious diseases, but they can focus on other areas as well. Sometimes epidemiologists will work in private companies, including health insurance companies and pharmaceutical companies. Epidemiologist job description. 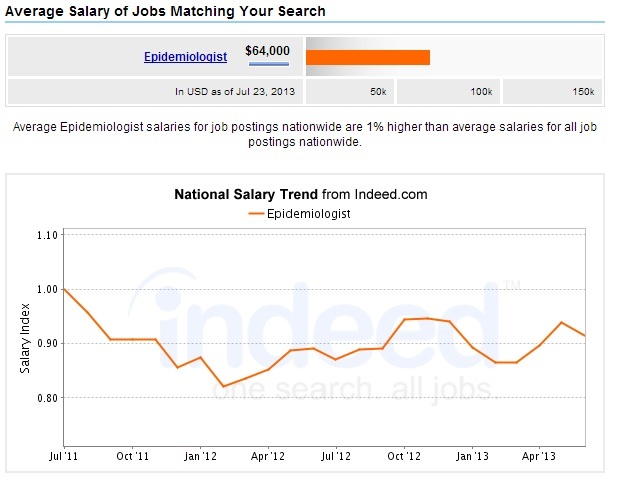 Learn about Epidemiologist jobs, responsibilities, salaries and more. An epidemiologist has to have a master’s degree in epidemiology, or a master’s degree in public health (MPH) with a focus on epidemiology. Some top epidemiologists may have a Ph.D. in the field. Plan/direct detailed studies of public health issues to discover ways to prevent them and to treat the issues. Perform the collection and analysis of data, by using observations, interviews, surveys and blood samples – to discover what is causing certain diseases. 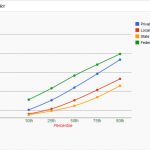 Provide management of health programs by doing program planning, monitoring program progress and doing data analysis. 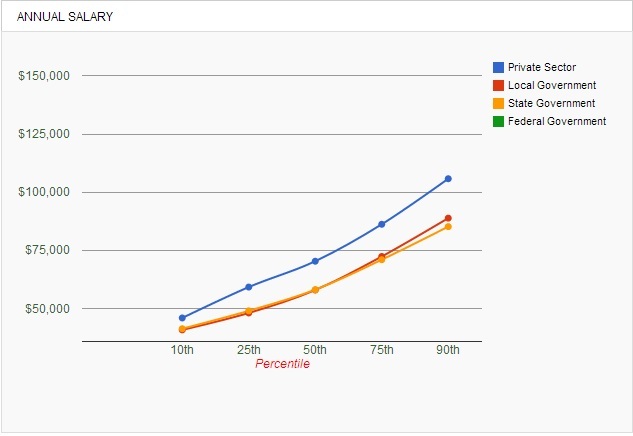 Indeed.com reports that the median salary in the field is $64,000. US News and World Report states that the best-paid epidemiologists reside in San Francisco, San Diego and Oakland CA. The employment prospects for epidemiologists are excellent. The Bureau of Labor Statistics reports that jobs in this field will increase by 24% by 2020, which is faster than average. Increasing public awareness and more reliance on reliable medical records for the analysis of public health means that there will be a solid, growing demand for epidemiologists. BLS also reports that employment growth for this field should be especially robust in local and state governments. 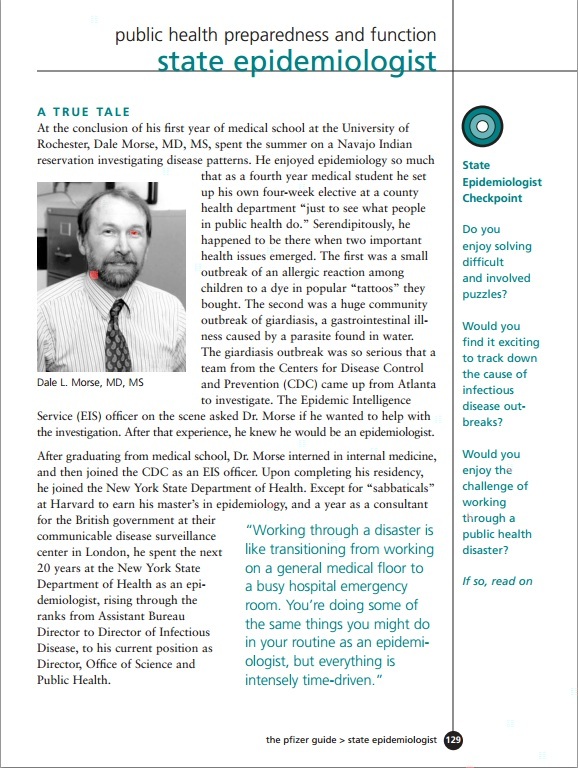 Read this interview to meet state epidemiologist Dr. Dale Morse, who got his first working exposure to epidemiology one summer on a Navajo Indian reservation investigating allergic reactions to tattoo dyes, and a serious outbreak of giardiasis that causes gastrointestinal problems. 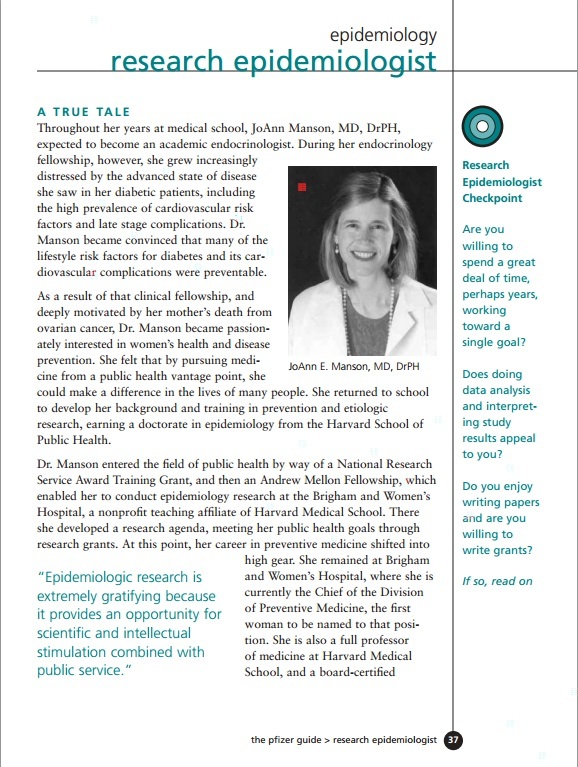 Read this interview to meet research epidemiologist Dr. JoAnn Manson, who is devoted to improving the lives of women by researching the roles of diet and lifestyle in the prevention of heart disease, stroke, breast cancer, diabetes and other major illnesses. American College of Epidemiology: An organization of professional epidemiologists that serves the interests of the profession around the world. American Public Health Association: This is the oldest public health association in the US, and has been working to improve public health since 1972. 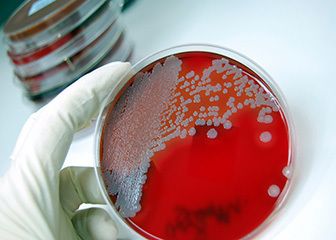 Society for Healthcare Epidemiology of America: The mission of this association is to prevent and control health care related infections and to advance the field of epidemiology. 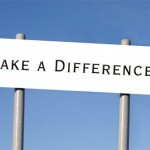 Association for Professionals in Infection Control and Epidemiology: A professional organization dedicated to the interests and needs of epidemiologists who focus on infection control. International Epidemiological Association: Facilitates communication among 1000 members who work in research and teaching of epidemiology. American Journal of Epidemiology: The top journal in epidemiology that is fully devoted to publication of the latest research findings and articles in the field.